Live and enjoy the snow of Via Lattea Olimpic mountains. 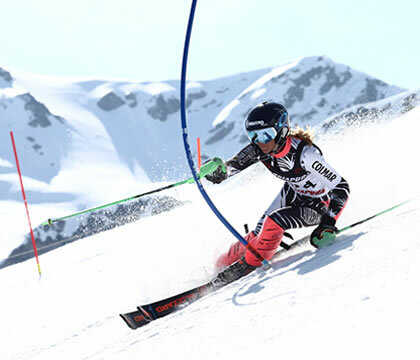 In cooperation with the Monti della Luna Ski School, we can offer you private lessons, group lessons, snow tours following an experienced Ski instructor. The excitement of skiing on immaculate snow surrounded by breathtaking landscapes. In the spring, there are plenty of descents you can try, enjoing the pleasure of a wonderful experience. During the Winter Sea sono you can attend Safety and Ice driving camps at Ice track in Sauze di Cesana, at only three kilometers from the hotel. 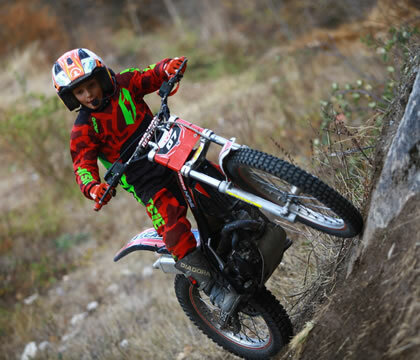 Road, enduro, trial motorbikes experiences. Our district is one of the most challenging and fun in the world. It is also possible to rent motorbikes. We pay particular attention to the services we make available to our Guests on motorbikes. From the guarded garage, included in the price, to maintenance of the vehicle to the specific needs of those traveling by motorbike. 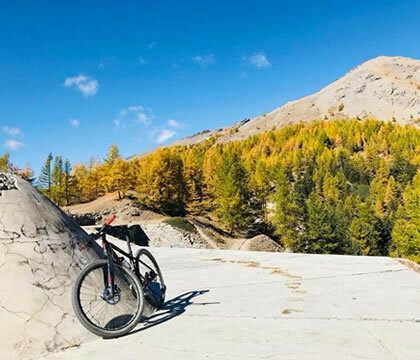 The footpaths of our ski area between Italy and France are among the most famous in the world, and the surrounding area also offers regular mountain biking or cycling tours, ranging from simple to extremely demanding. Here, too, we can offer you renting, accompanied excursions and approach lessons. Golf Club Sestriere, 18 holes, founded in 1932. Routes: mt. 4828, women mt. 4924, men CR 64, women CR 65.5. It is 7 kilometers from the hotel. Golf Club Claviere, 9-hole golf club, founded in 1923, is one of the oldest golf courses in Italy. At some times of the year, thanks to the agreements with the near Montgenevre field you can play a single 18-hole course. Routes: mt. 4650 women mt. 4260 men CR 65.7 women CR 67.1. It is 4 km from the hotel. It is possible to play in the nearby clay courts of Casa Cesana. Courts are available from June to September. Next summer, in Sansicario area, will be ready the new tennis center. Always in Sansicario there is a Padel court. From the simple walk to the via Ferrata ( a mountain route wich is equipped with fixed cables, stemples,passerà and bridges), everything around us is the embarrassment of choice for those who want to walk, stroll or run. Along with mountain guides, you can go hiking in high mountains, via ferrata, campfire school, canyoning, and hiking. The Tibetan bridge of the Gorges of San Gervasio, between Cesana and Claviere is the longest and most beautiful in the world. Hanging in the void for 468 meters at a height of about 30 meters from the ground is an indispensable experience during your staying in the summer. The journey time is one hour and thirty minutes. Open on weekends in June and September and every day in July and August. Close to the hotel and within walking distance, the park was built using non-invasive trees method. It will be possible to spend some hours immersed in nature by choosing or combining pure adrenaline and total relaxation but always in total safety. There is also a soft air camp.